Characterized by large, red, painful nodules under the skin cystic acne is one of the worst skin health issues to be faced with. Problems on our face can be crushing to our confidence, so the desire to find a solution is huge. There are internal prescription medicines and creams that can help to eliminate the nodules but sadly they are very harsh and can leave noticeable scarring, additional inflammation, or even internal issues such as long-term digestive or mental health issues. 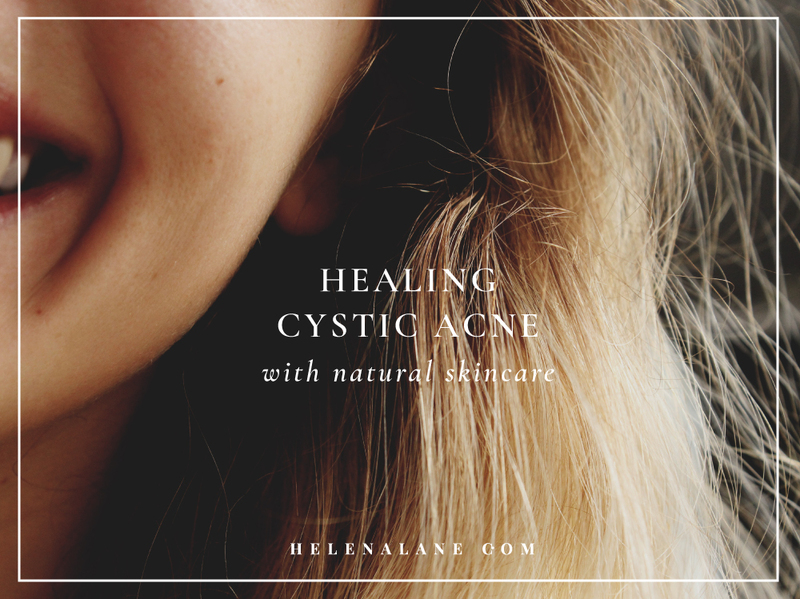 Thankfully we can treat and prevent cystic acne successfully with some more gentle, natural protocols. When a skin pore becomes blocked with dead cells, excess oil and sweat it can swell and eventually rupture under the skin causing inflammation and infection. As this spreads to the surrounding tissue your skin will form a cyst around the area to stop it spreading any further. All acne is caused by a combination of internal and skin health issues, so it’s important to address both to successfully treat it. Internally the two main areas to look at are hormonal health and digestive health and of course, diet. Anything internal should be addressed with the help of your medical practitioner, or naturopath, but a few places to start might be: probiotics for gut health, a reduction in inflammatory foods such wheat, sugar, dairy, and an increase of essential fatty acids such as omega 3s. I also love the herb milk thistle for any congested skin issue as it supports the liver to be better at detoxifying the body. When thinking about topical products my philosophy is the opposite of pharmaceutical solutions. 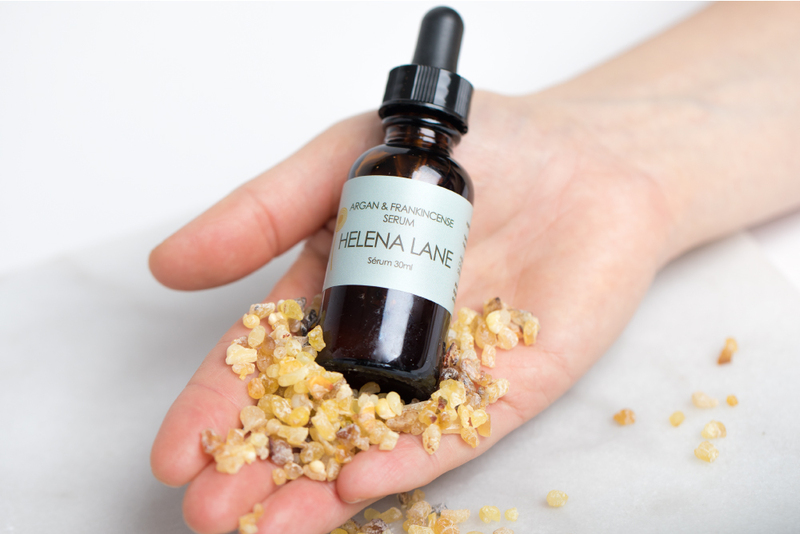 Rather than harsh products which will destroy our acid mantle, upset oil balance and often have difficult side effects I like to address the problem with being gentle to the skin. I like to address the surface health of the skin, to unblock the pores, and the inflammation first. This allows the nodules to shrink, the redness and swelling to go down and the pain to subside. As with all skin types I still recommend oil cleansing for cystic acne. It really is the best way to cleanse the skin, keep pores clear and keep the acid mantle intact, essential for all skin conditions in order to have healthy skin. 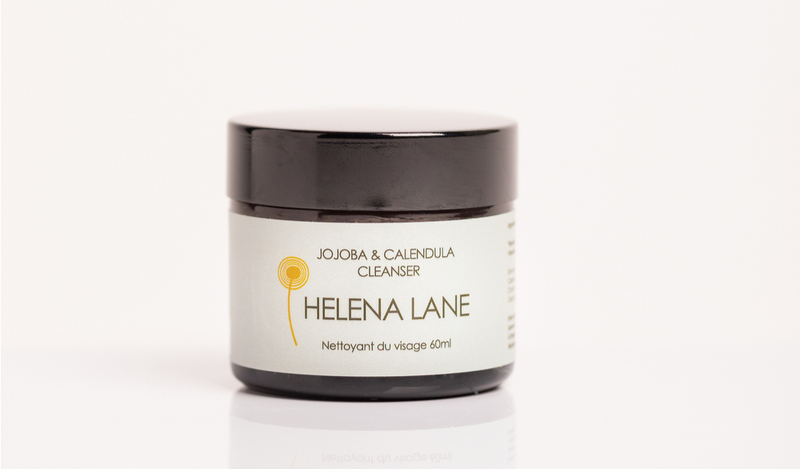 My Jojoba & Calendula Cleanser is packed with the anti-inflammatory and cooling properties of chamomile and calendula, perfect for addressing the heat and swelling associated with this condition. I would suggest using it both morning and evening to speed up the healing process. I also like to recommend lavender either the essential oil mixed into a little jojoba or borage oil or the hydrosol spritzed onto the face liberally (or both!). Lavender has all the properties to combat and calm infection, reduce swelling and redness while still being incredibly gentle on the skin. My Lavender & Mint Flower Water makes a great option. Another useful ingredient to help the skin clear faster is salicylic acid, often used in high concentrations in pharmaceutical options. Salicylic acid helps the skin to exfoliate (i.e. lose old skin cells faster) which can be really helpful when the pores are blocked and there is a build up of old skin cells. Again, high concentrations and fast (but harsh) results are not the way I recommend. Salicylic acid is found in the herb white willow, in lower concentrations but with the addition of anti-inflammatory compounds. It makes a wonderfully effective combination as it helps calm the skin as it speeds up clearing dead cells away. Find white willow in my Lavender & White Willow Mask and Exfoliant. A clay-based product created especially for clearing congested skin conditions whilst calming the skin at the same time. I would recommend using this as a mask 3 times a week. Once the nodules start to clear, scarring becomes the next thing to think about. There are so many plant oils and essential oils that can help to reduce this so effectively. Argan oil, rosehip oil, rose, frankincense, neroli essential oils are just a few to look out for. My Rose & Argan Moisturizer or Argan & Frankincense Serum are great options. And then be patient…. The gentle approach may be a little slower but the benefit of coming out the other side with healthy skin, with less scarring and much less chance of re-occurrence will be worth it.